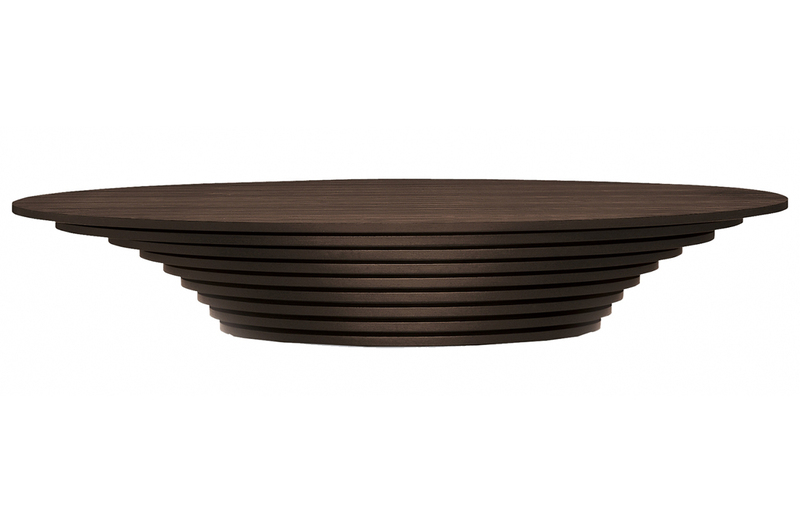 Low pedestal coffee table composed of multiple stacked layers of wood. Available to order in a number of shapes and sizes. Wood finish options: Oak in natural, tinted, or open pore lacquer. Or wenge wood.